Gardens are striking opportunities for horticultural self-expression. From your choice of flowers and furniture to the style, function, and designs of your patio, your garden is a reflection of you and your interests. Despite this personal touch, garden spaces are often similar, restricted by standard housing space, popular plants, and garden trends for lawns/paving/decking. Despite these similarities, it is fair to say British eccentricity is alive and well in several gardens across the UK. 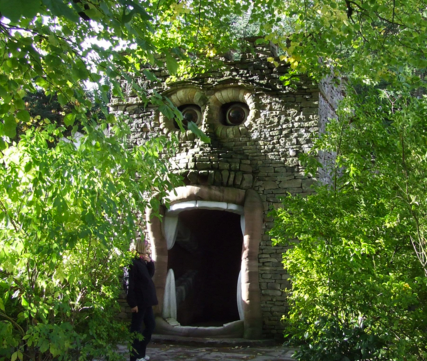 From the longest, to the most dangerous, to the downright odd, let’s take a walk through Wonderland with three of Britain’s strangest gardens. At 30ft wide and three-quarters of a mile long, a garden on the on the outskirts of York has a very peculiar layout. Having originally been a railway line, the plot of land that ‘The Gables’ at Alne was built on is so unusually long it takes thirty minutes to walk the entire length. Its length raises a number of unusual issues. The hedge needs constantly trimming, the grass requires frequent mowing, while transporting garden equipment right to the end can be problematic. On the plus side, the sheer size of the garden has meant it can be divided up into a literal Wonderland of looks, themes, and uses. There’s a vast pond, a barbecue, a rose garden, a 12ft greenhouse, and a stunning variety of distinctive floral borders. This type of garden would be a dream for people who love walking and outdoor living, and have the time to maintain and care for it. Originally built for private use, Forbidden Corner is a unique, mysterious garden, attracting many visitors each year since first opening to the public in 1994. 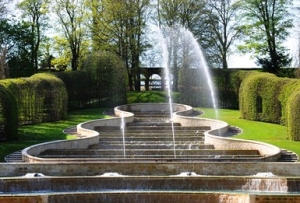 Set in the beautiful Tupgill Park on the Yorkshire Dales, the garden’s many passages and pathways are a source of intrigue. A variety of other strange features make exploring Forbidden Corner a delight, including a translucent glass pyramid and some very odd statues. To fully appreciate Forbidden Corner, however, you must venture below ground, where a labyrinth of chambers and tunnels make this a multidimensional garden experience. With strange gates and doors to go through, it’s a garden that keeps on surprising. There is also a maze to take you on different twists and turns. With so much thought and detail put into it, this is definitely a place for people of all ages to enjoy. It is quite common for gardens to have an odd layout, but in the case of this garden, it’s the inhabitants that set it apart. 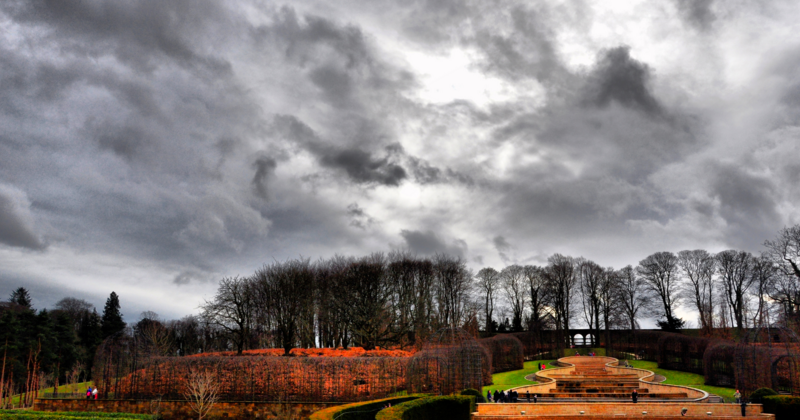 Located within the gardens of Alnwick Castle, this seemingly harmless haven is actually home to over 100 different varieties of poisonous plants. Visitors can marvel at the sheer variety of beautiful but deadly plants, many of which require a licence just to be planted in a public place. While some of the plants are ones commonly seen in British gardens, such as foxgloves, poppies, and laburnum, other lesser-known plants, like Ricinus communis, can kill a person with just one seed. The entrance to the garden is a swirling tunnel encircled with plants, giving a sense of a journey into the unknown, and large gates with “these plants can kill” emblazoned on them warn visitors of the dangers that lie within. This garden is of particular value to visitors wishing to learn about the science and history behind these unique but dangerous plants. You don’t need to aim for Britain’s strangest gardens to create a beautiful space personal to you, but it’s always interesting to consider the endless possibilities there are for outdoor spaces. Taking a few simple steps, like introducing exotic flora, innovative sculptures, or a stylish patio can make a huge difference to your enjoyment of your garden and help to create a little wonder in your home. Bring a sense of wonder to your garden with a unique patio. Call Minster Paving today on 01865 300252 or contact us online.